The urge for businesses to innovate and not get left behind is growing. Companies who are taking pioneering steps within their business are not always recognised for their innovations. To keep up, businesses must communicate change effectively to compete with other players in the market. Businesses should proactively drive their innovation as this is just as important as the innovation itself. This year Apple began blogging to draw attention to its AI work, “The Apple Machine Learning Journal”. The journal is a place where users can read about the progress Apple has been making with its technologies and products. The blog communicates Apple’s AI innovations by creating compelling content from research projects with GIF’s that illustrate and explain its results. Companies who innovate without communicating may limit their potential. To be recognised for their own innovations, businesses should be committed and willing to consistently participate in conversations. If innovation is critical to a business’s future, then it should be intertwined with communications to tell customers and prospects a consistent story. Marketing and communications should be part of an organisation’s overall business strategy. It can be used as a powerful tool to drive momentum in business. The key is to have ongoing communication with the target audience. By regularly pushing innovation through consistent and compelling content, companies can drive momentum and generate success. If a Tech or Telco company is not successfully communicating the innovative things it’s doing, it can hinder how it moves forward as an organisation. In a fast-moving market, it is critical that customers have a partner that is innovating. 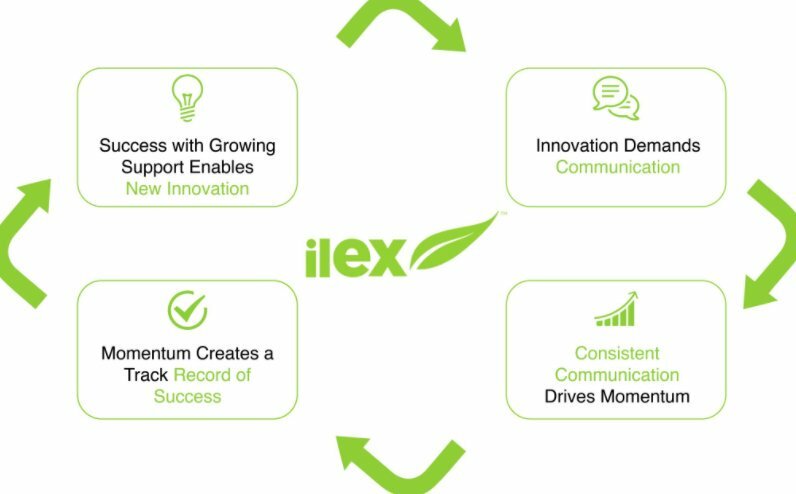 If a business isn’t successfully communicating its innovation then their customer is likely to look for a new partner that is evolving and growing. To be successful, organisations should communicate their innovations effectively over time. By communicating momentum, businesses can keep their customers engaged in the creative process. It is important to create touch points with the audience and build a track record of delivering innovative solutions and innovative technologies. Through content, blogs, Social Media updates or big product launches, businesses can tell a compelling story. Customers and prospects will then begin to expect innovation from a business. That’s a powerful thing. This can then be differentiated over time using the right content and communications to tell a consistent story around innovation.